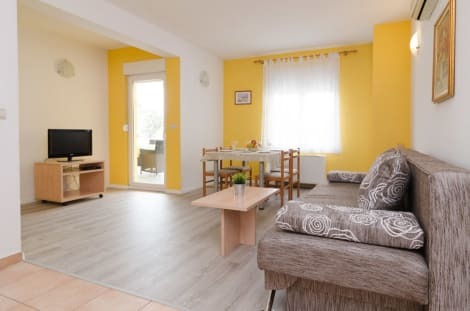 Located in Zadar, Apartments Milin is within a 15-minute drive of Kresimir Cosic Hall and Stanovi Stadium. This apartment is 3.6 mi (5.8 km) from City Galleria and 3.7 mi (5.9 km) from Church of St. Simeon. 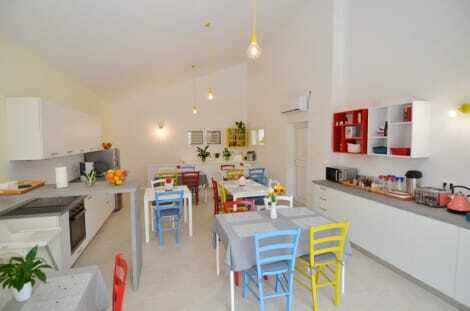 Make yourself at home in one of the 7 air-conditioned rooms featuring refrigerators and LCD televisions. Rooms have private balconies or patios. Complimentary wireless Internet access keeps you connected, and satellite programming is available for your entertainment. Conveniences include coffee/tea makers, housekeeping is provided weekly, and irons/ironing boards can be requested. Make yourself at home in one of the 3 guestrooms, featuring kitchens. Satellite television is provided for your entertainment.